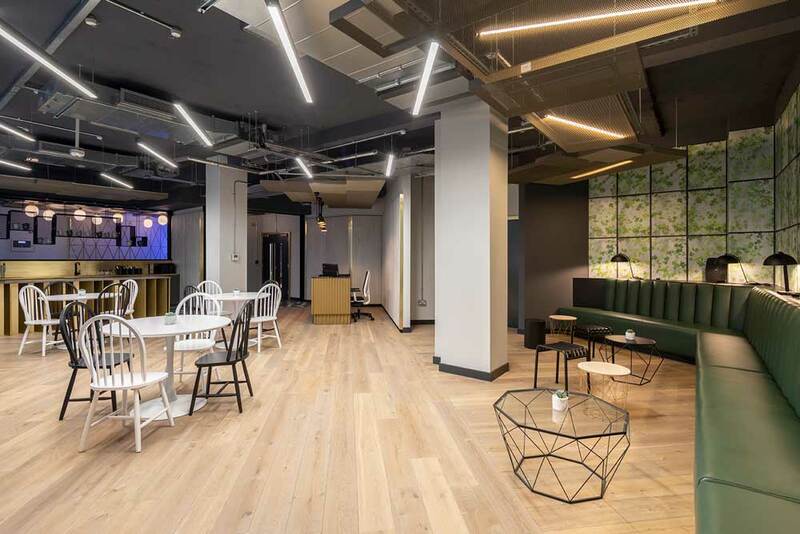 Carter Lane was a run down 5 story office building in the buzzing district of St Pauls London. 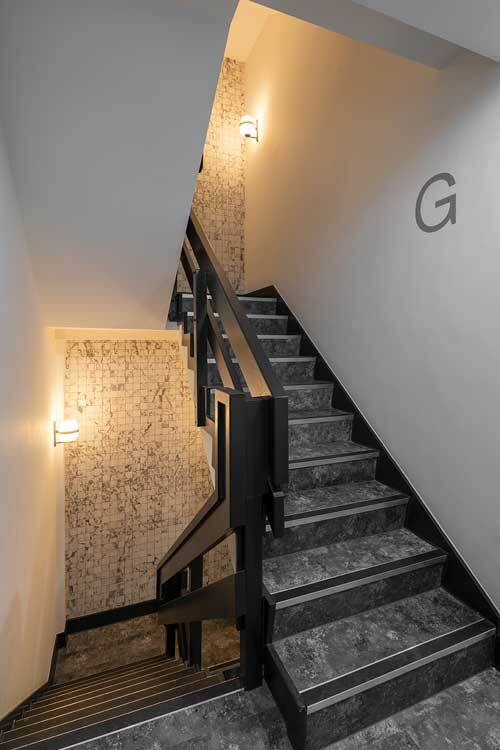 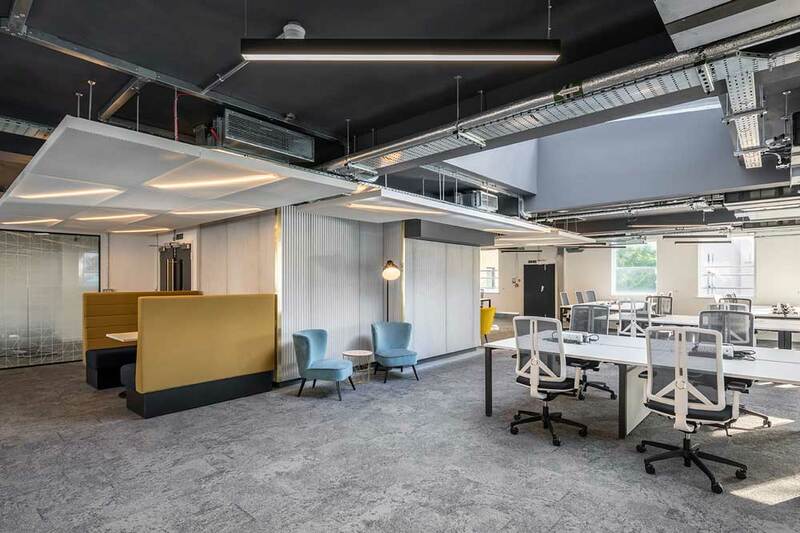 Create were commissioned by Moorgarth Living to bring a new lease of life to this tired building for their client The Boutique Workplace company. 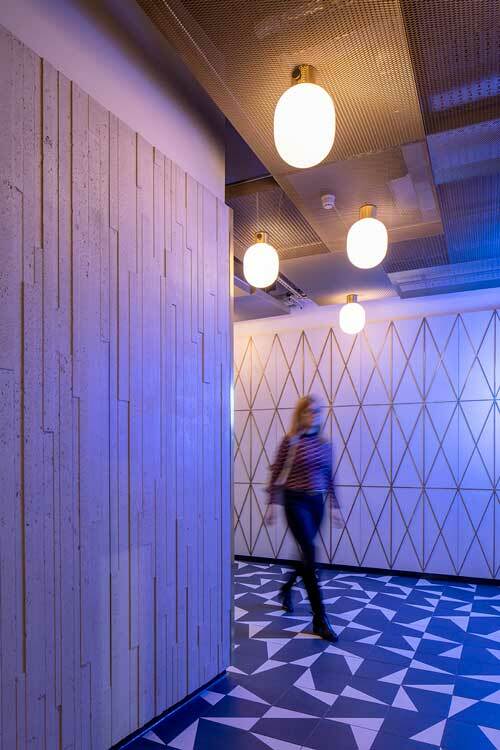 The entrance area uses highly patterned textures, structured finishes and neon light to define itself. 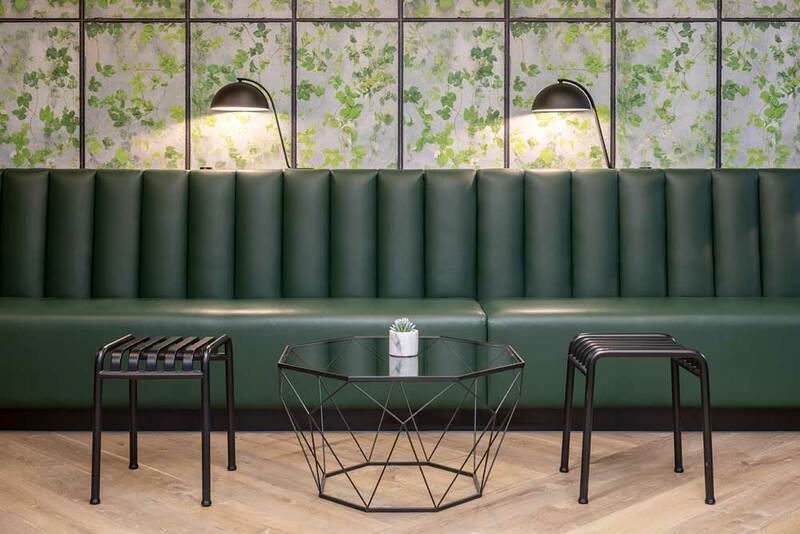 The reception and lounge area which form the shared spaces for the multiple tenants, embody rich materials such as gold mesh, brass and green leather to create a welcoming vibe. 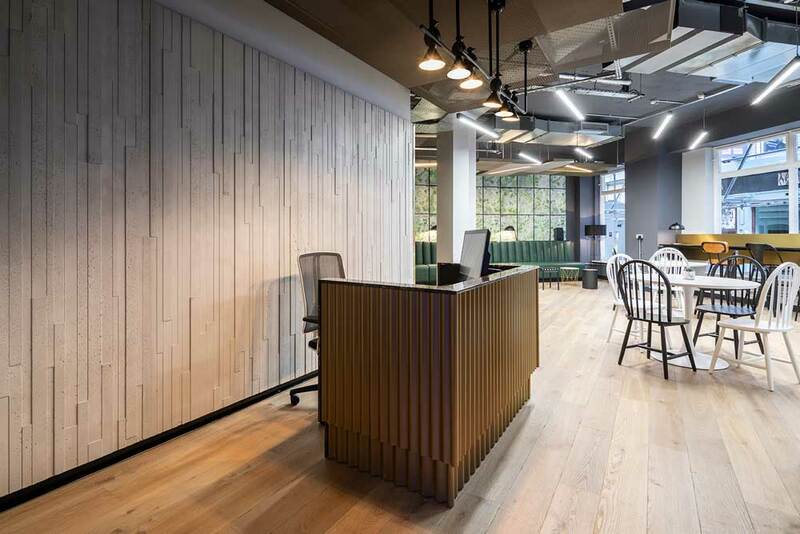 Intricately detailed joinery solutions for the reception desk and bar area create sculptural features within the space. 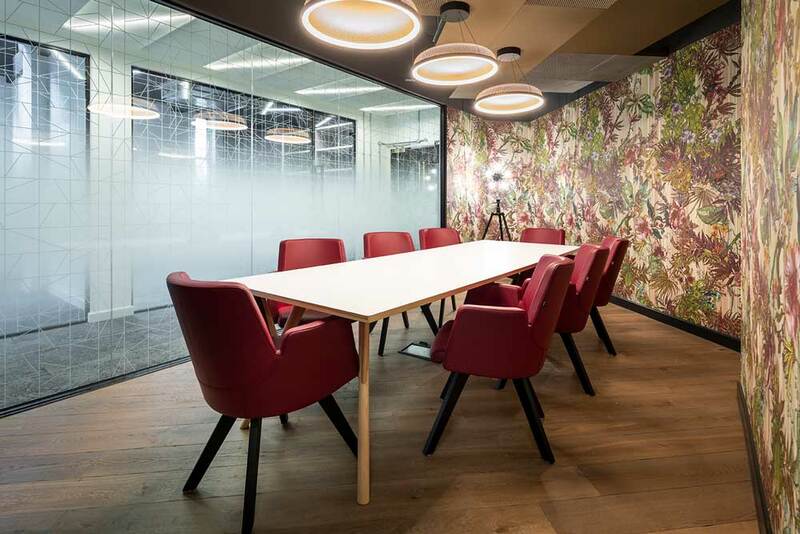 The bold meeting room wallpaper and beautiful gold mesh lights create a soft and inviting ambience. 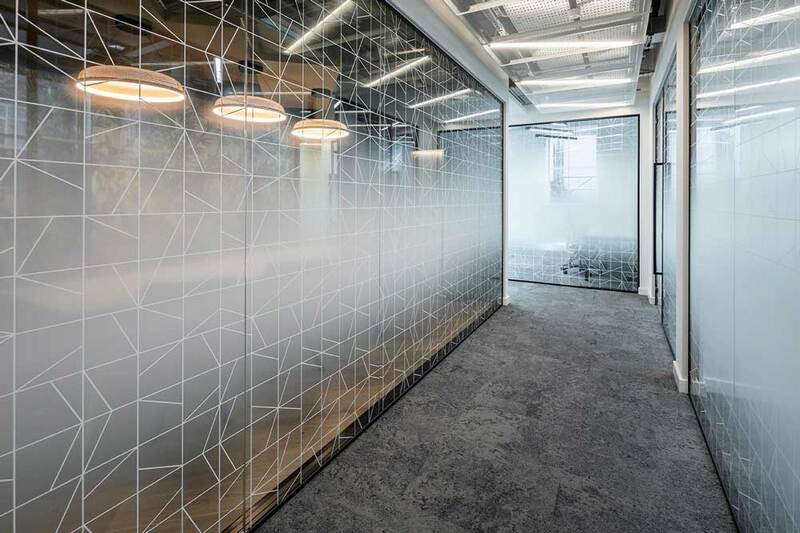 The office areas are cool and smart with a bespoke manifestation solution providing interest and privacy. 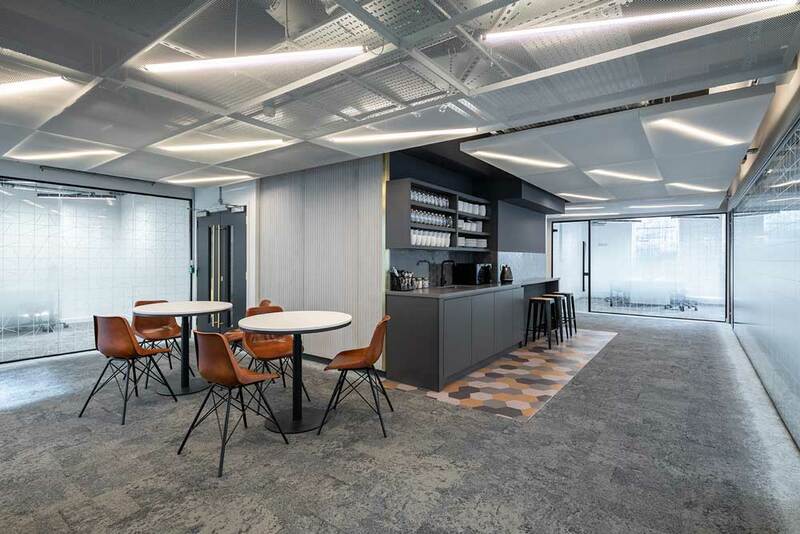 The delicately illuminated mesh ceilings define the circulation spaces whilst partially screening the exposed services installations.